Raw milk benefits our gut bacteria which heals and supports our health by healing and cleaning one’s intestines. This means better health and life. Since we added raw dairy to our diet, I’ve noticed the differences in the kids, Ben and myself. Now that it’s fall, we’re enjoying hot drinks which means I have to pay attention or I’ll lose those raw milk benefits. This summer, at The Savvy Bloggers Summit, I discovered cold coffee (I thought it was a caramel chocolate milk drink.) and oh.momma! It’s caffinatingly delicious! I’m a bit addicted now so some days I’m like “I’ll add raw cream AFTER I get a drink of coffee and scald the roof of my mouth and the top 2 layers of taste buds off all while doing the ‘ow!burns!ow!’ dance. Normally, I’m a mellow tea drinker as tea is easy for me. During the summer I make sun teas and once the fire’s lit for fall I leave the kettle on the hearth and the fire warms the water and the room. Oh yeah. Fire heated tea. It IS as tasty and romantic as it sounds. 😉 This is better for me as I’m well…a bit hyper. I know..you’re shocked. In order to get the raw milk benefits your drink or foods they should be cool enough so you do not burn your lips. I’ve been picking up some fair trade coffee but mostly Starbucks Caramel Macchiato. I’ve a french press for coffee which I also use to make big batches of tea for the kids in the morning to which I’ll normally add raw cream for extra good fats. I’ve been getting my new teas from a local company called Miami Valley Spice Traders. Their slogan is “because life’s too short for grocery store spice.” They’ve teas, spices, sugars, and oils. They also have spice mixes and if you follow me on Instagram you’ve seen a few of the meals we’ve made using their stuff. They’re GAPS, gluten free, blah,blah, blah educated! They’re also online so you can order fresh tea no matter where you live. 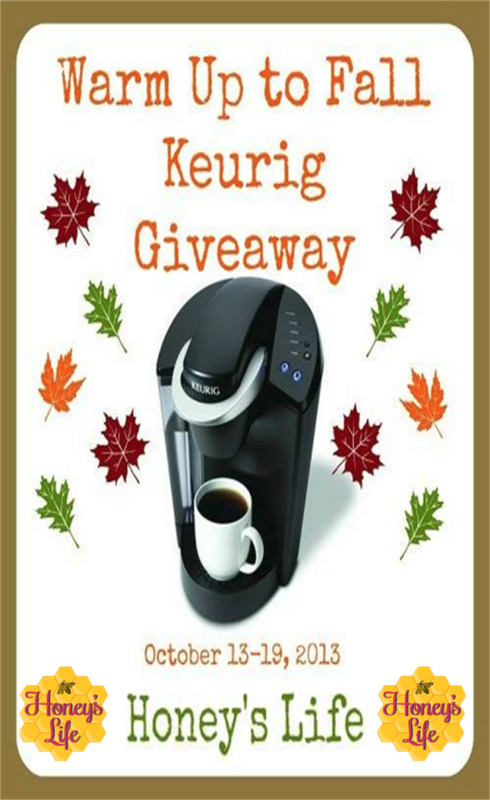 **The “Keurig My K Cup” and Win a Keurig B40″ is live! Head over and enter. Wow, thanks very much for posting this! It is gonna help me when I order Coffee online! Very Marvelous! I’ve been so curious about raw milk but have never tried it! Maybe I’ll turn the corner and give it a go! If it’s been pasturized it won’t be raw. 🙁 But there’s still health benefits to milk that while pasturized is #organic…but…you want to go with organic AND raw cause it’s the best! 😉 Oh yeah…there’s a difference in taste too between glass and plastic so I agree 1000% with you. I will say go with that local milk too and help keep your dollars in your community. I’m a big buy local kind of gal as if everyone did that we could save on costs, fossil fuels and all while supporting our environment. This post really interested me -I looked into raw milk a while ago but couldn’t find anyone local that sells it. I’m not sure you are allowed to sell it in Canada, but I could be wrong too! What sort of benefits are you getting from it? Curious! Honestly this is the first I have heard of raw milk, I know I am living under a rock, but I learned a lot from this post thanks for sharing. I’m glad you learned something! That just made my day! 🙂 If you’ve any questions holler over. We’ve been looking into the benefits of raw milk recently too. Just wish it was easier to source in the UK. 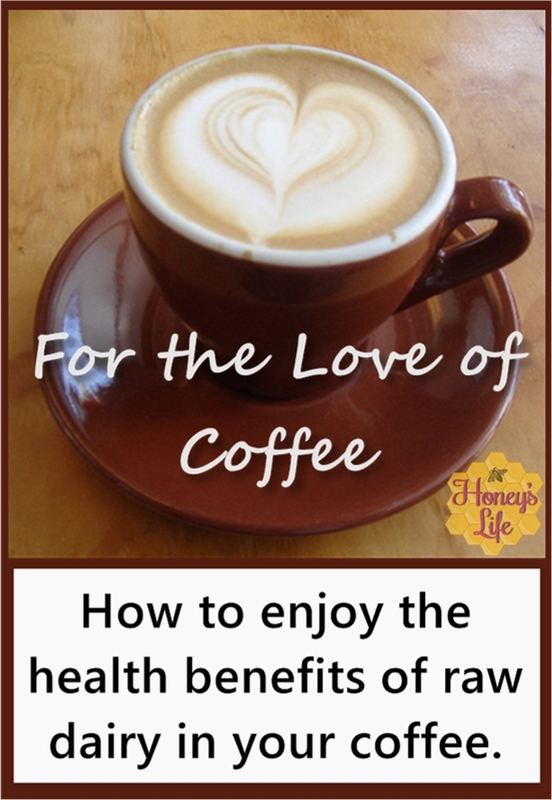 Great post — I don’t like hot drinks — because I always get burned 🙂 But I loooove my raw milk — so blessed to get it just down the road! !